If you read my original Micro 110 review you’ll know I sounded a bit disappointed. One factor I’d wandered about was the processing. I persevered and shot another cartridge and got it processed by the good folk at Digital Photo Express in Carlisle. 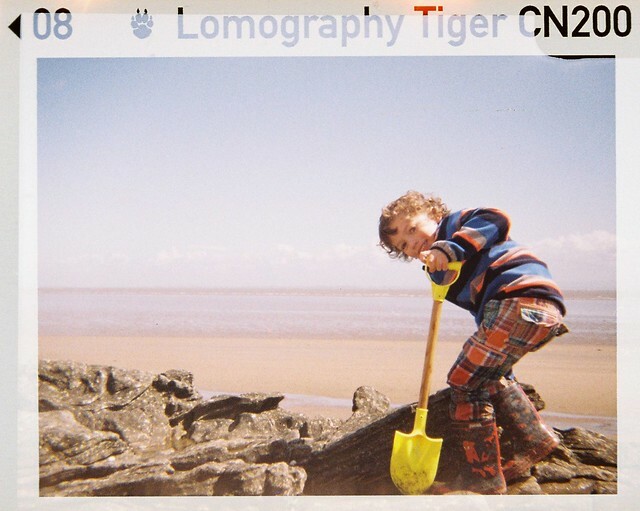 The results really made me reappraise the camera as well as processing and Lomography Tiger CN200. Digital Photo Lab are a small husband and wife business but they know their stuff and their limitations. They only do C-41 processing (including Xpro of E6) but beyond that they’ll take on most challenges and they are not only one of my closest labs but my go to for sprocket shots. They also do 110 C-41 and I’m much more pleased with their results. It was out with the micro on a Warm spring morning to Powillimount beach on the Solway Firth on a sunny day with scattered clouds. What is striking is the Halina seemed spot on in this EV 14-15 shoot for exposure. 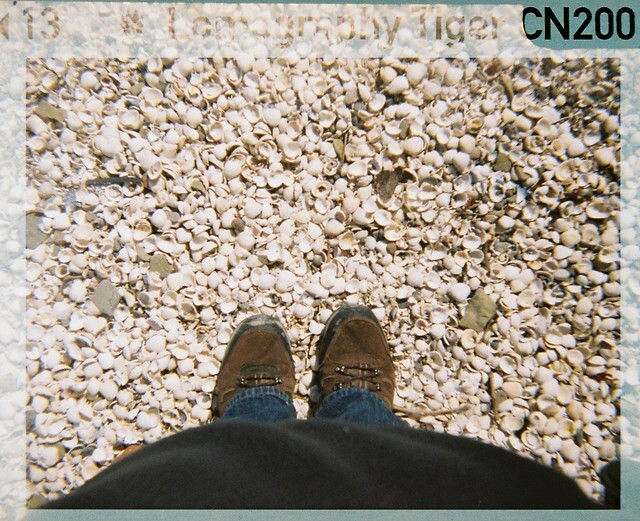 The images are not bad at the 1.5-5 metre range too as the seashell shingle shot proves – a bit soft and grainy but not bad given the smaller frame size and the plastic lens. But the better processing highlights 2 faults with the Micro 110. Camera shake is more apparent here making me wonder if the assumed 1/100 f/8 is perhaps more of a 1/50 f/11 or f/16. The camera in bright conditions seems more prone to some hazing in the lower 3rd of frame. Less light leak more reflection IMHO. Lab wise this does confirm that well held viewpoint that not all labs are equal. I’ve long been a fan of using Digital Photo Express but have maybe wavered as I’ve had cheaper 35mm processing at ASDA abet lower quality and now I live in Dumfries it has been easier to send off the films to a semi pro lab. But these folk do a good job and the 110 results were astounding (again keep in mind the images here are from a fixed focus, plastic lensed number). That said the other lab did a fine job of 35mm and 120 stuff for me. 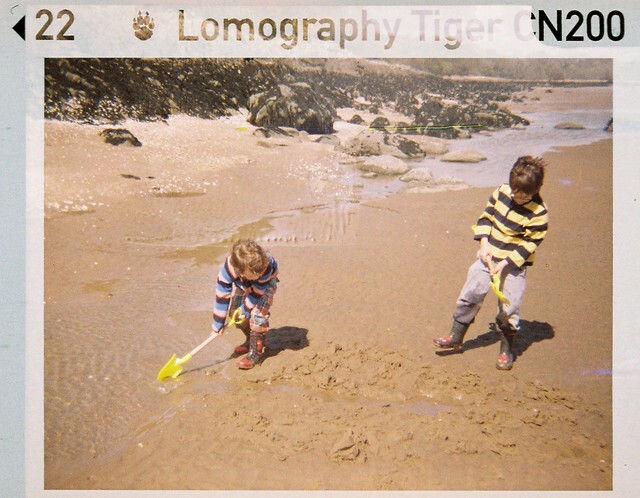 The processing also confirms the emulsion that Lomography are using isn’t perfect. 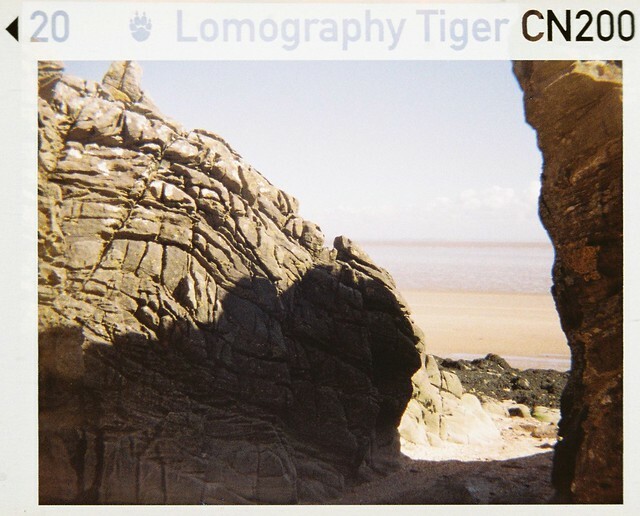 I’ve run through films from three different triple packs of Tiger 200CN from 2 suppliers and had them processed by both Digital Photo lab and by Snaps on a range of 110 cameras. I’m getting the same pattern on odd frames of small orange edged dots. 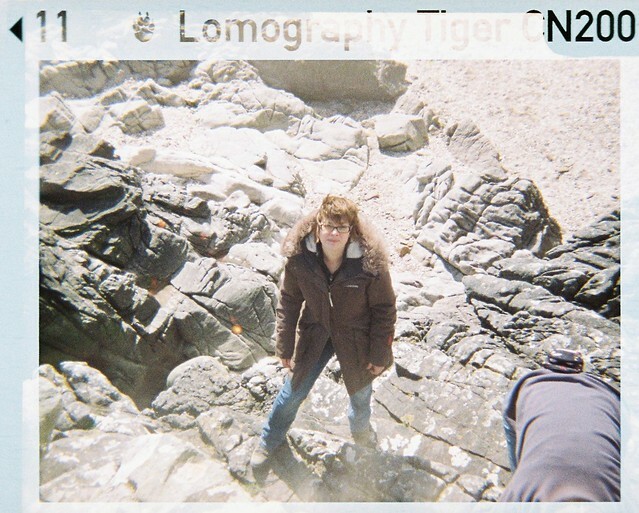 The film otherwise is reasonably vivid more Kodak end than Fujifilm. Unlike Lomography’s 35mm or 120 film there is little information or speculation online about the providence of the 110 film suppliers. We do know the stuff is made in China but that’s all. That said feels vaguely Kodak-like and we do know that in the noughties of this century Kodak and Lucky were quite heavily tied in. Maybe a Lucky guess or just a stab in the dark ? Hey, I just got one of these and want to play with it. The back piece of mine is very loose and between the bottom of it and and the wheel there’s a gap that seems to let a lot of light in… Is yours the same? I don’t know if I should tape it up or something? 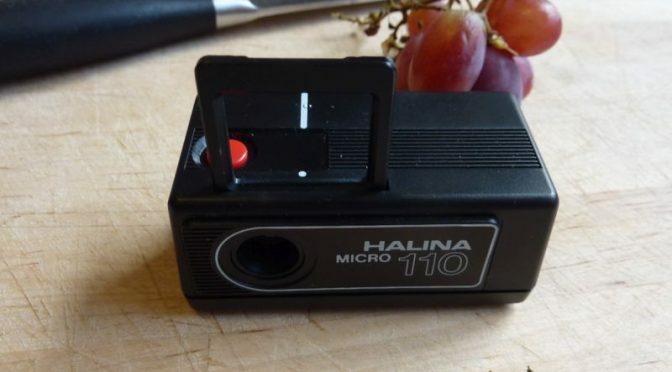 Thanks for the two posts on this camera – very helpful! The gap between it and the wheel is normal- the 110 cartridge has a bit that sticks out at that point. The only seal that matters is the box behind the lens that will secure onto the the film window on the cartridge.